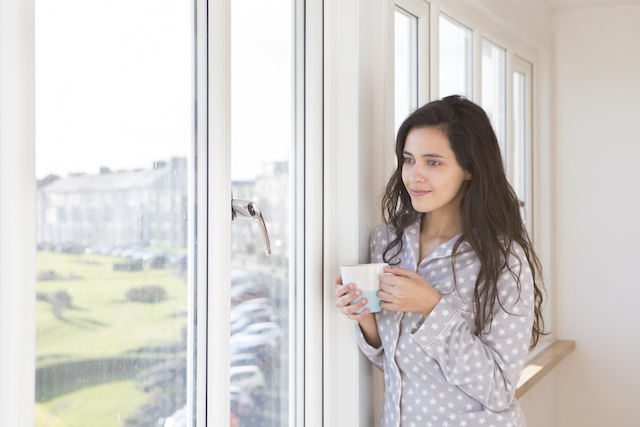 In the same way that breakfast choices can make or break your diet for the day, your morning skin care routine can determine whether your complexion behaves—especially if you have sensitive skin. Sensitive skin can be affected by temperature, pollution, any stressors, according to NEUTROGENAⓇ researchers. Unlike normal skin, which can stand strong when exposed to minor irritants, sensitive skin has weaker defenses—meaning that care in the form of properly cleansing, moisturizing and applying a broad-spectrum sunscreen with an SPF of at least 30 are essential to prepping, priming and protecting your sensitive skin for the day ahead. Cleansing: Every skin care routine starts with a good cleanser and cleansing approach — everything that follows will depend on how clean your skin is, and how you care for the skin’s moisture barrier. NEUTROGENAⓇ experts say that a gentle, pH-balanced cleanser is the key to cleaning sensitive skin without stripping it. Keep the morning skin routine simple and use only products that are absolutely necessary. You can use a scrub or a toner if you want: but for the truly sensitive, the right cleanser alone should leave your skin clean and comfortable. 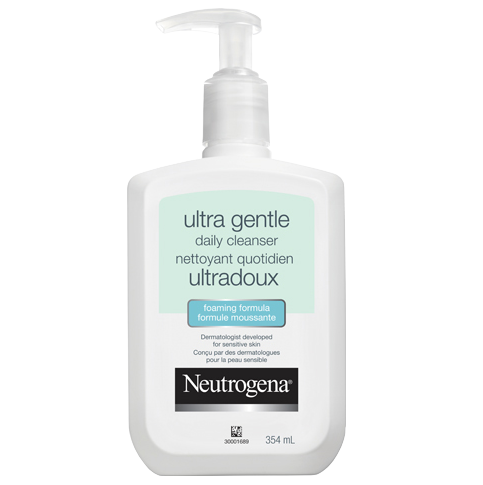 NEUTROGENAⓇ Ultra Gentle Daily Cleanser Foaming Formula is one option to consider. Moisturize: The best moisturizer for sensitive skin is one that’s soothing and hydrating, but not too heavy. Conventional moisturizers can be greasy and sit on top of skin to make it feel soft and supple. NEUTROGENA® HYDRO BOOST Gel Cream Extra-Dry is meant to create moisture from the outside in, and repair the skin’s moisture barrier. As a result, the NeutrogenaⓇ approach helps achieve deep hydration to lock in longer lasting suppleness. It’s also very mild and fragrance-free making it a good choice because many synthetic fragrance ingredients can be irritating for sensitive complexions. Sunscreen: Once your skin is moisturized, follow with sunscreen. Use one that’s rated at least SPF 30. Daily UV protection is important for everyone to prevent premature agingand skin cancer when used with other sun protection measures*, but finicky complexions may react to chemical sunscreen ingredients. Look for a product that contains only physical sunblock ingredients — such as titanium dioxide and zinc oxide — which are found in Neutrogena Sheer Zinc® Mineral Sunscreen. Once your skin is properly cleansed, moisturized, and protected from UV damage, you can rest assured your sensitive complexion will be prepared to face the stress and strife of the day. *Sun Protection Measures: Spending time in the sun increases your risk of skin cancer and early skin aging. To decrease this risk, regularly use a sunscreen with a Broad-Spectrum SPF value of 15 or higher, limit time in the sun (especially from 10 a.m.-2 p.m.), and wear long-sleeved shirts, pants, hats, and sunglasses.